Rice Krispies are one of my favourite cereals. Cereal is pretty much one of my favourite foods, and I eat it practically every day. I go through phases with other cereals, but one that I always love is Rice Krispies. I don't know why, they're just so darn tasty. As much as I love them, I don't actually make Rice Krispie Squares that often. I always think that they're more complicated than they are to make, when really, they're easy! There are like, 3 ingredients. Can't get much easier than that, can it? In a large saucepan over medium heat, melt butter and marshmallows until smooth. Once completely melted, add vanilla. Stir in Rice Krispies. Remove from heat. 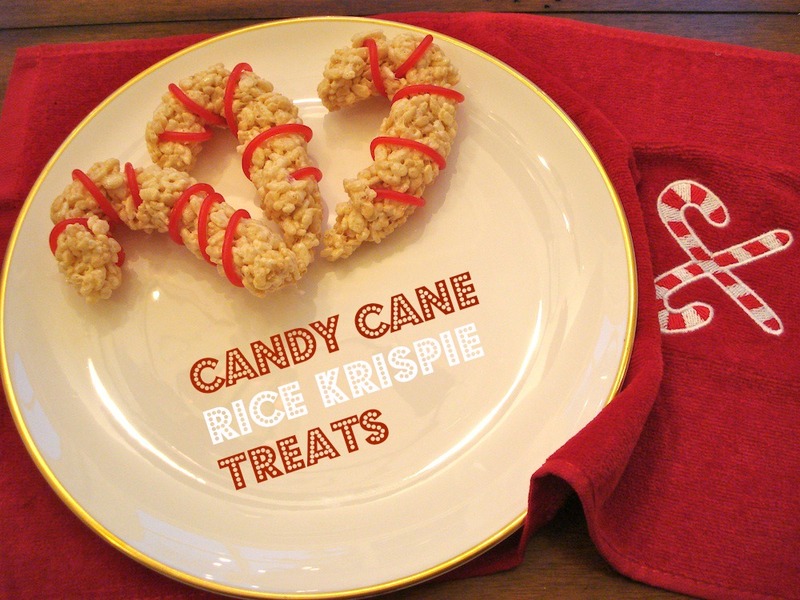 Using well greased hands, mold Rice Krispie mixture into candy cane shapes and place on a baking sheet lined with parchment. 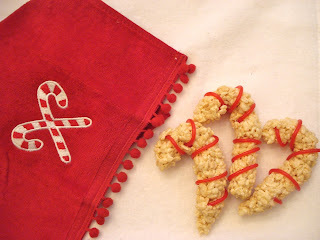 Wrap strings of licorice around canes. Enjoy!